Not everyone needs everything, so why should you pay for things you will not use? 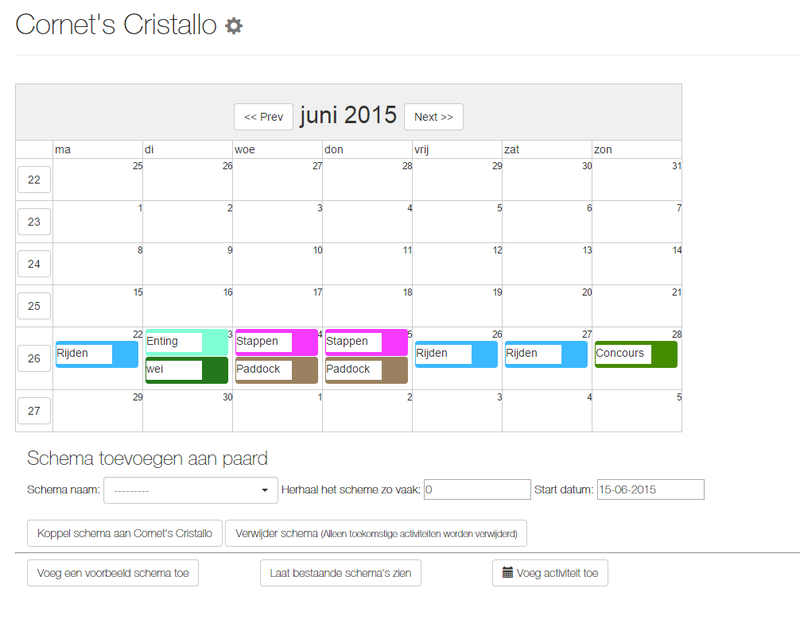 In our feed module you can log and plan the nutriënts that your horses get. But you can also log it if your horse is in a veterinary treatment and needs medicine. In the attendance module you can log who is present on which date and during which times. You can give people access to their schedule so they can access it via the website or easily print a monthly overview of total days attended. Easily add recurring services to customers. Automatically find horses for each customer and make one monthly invoice based on multiple horses/ownership percentages. Track activities of the horses and automatically add invoicable activities to the invoice. Generate invoices with one click. Create final invoices from draft. Keep track of transactions and keep a photo/scan of incoming invoices. Quickly create customers by reusing information about horse owners, clients etc. Want to connect your app to EquineM? Contact us!